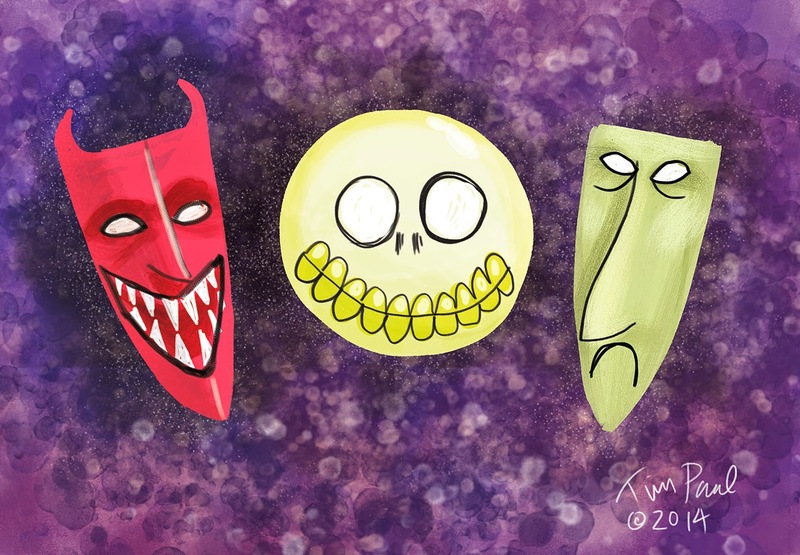 Lock, Shock and Barrel from The Nightmare Before Christmas are some of my favorite Character designs, because I think they capture perfectly all the iconic figures from my childhood for horror. On top of that, their real faces are so close to their masks, when they wear them, there's not much difference. Their design is awesome in it's simplicity. They are, the quintessential trick or treaters. More trick than treat.